This article summarizes the features, quality, and guides of the Intex Seahawk 4. It also concludes the advantages and disadvantages you can get from purchasing it. In addition, there are Frequently Asked Questions (FAQ) and customer benefits of this product. 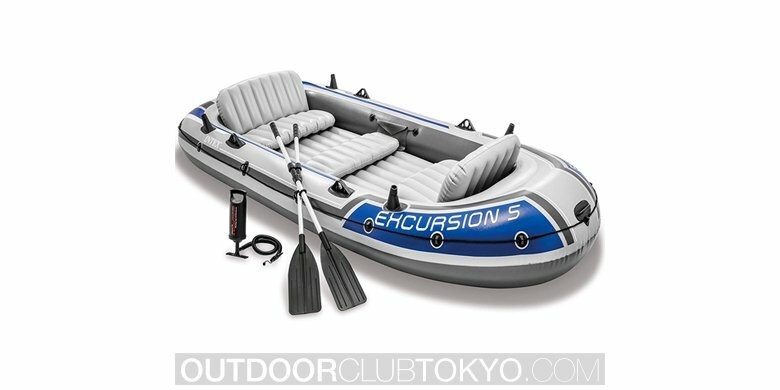 This boat set is highly convenient and it is worth buying because the quality and features will not disappoint you. 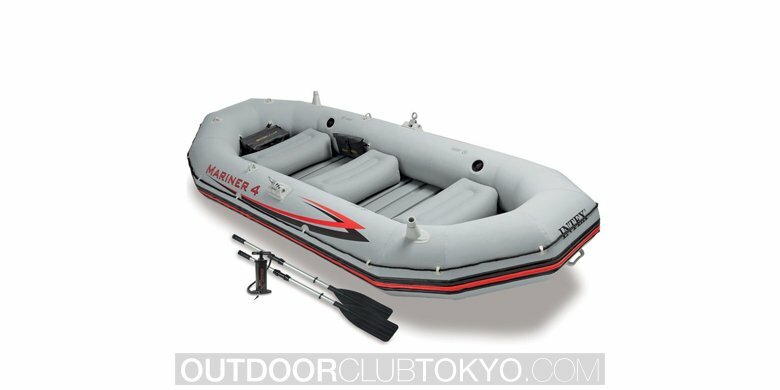 If you are looking for an inflatable boat, ideal for fishing or recreational boating in calm rivers; or even just for precautions of flood, Intex Seahawk 4 is the right one for you. This product has a very high durability level. It is made of tough materials. In addition, this boat set comes with everything you would need to start hitting the water. The inflatable kayak can fit up to 4 people. It is the perfect boat for you and your family or friends. 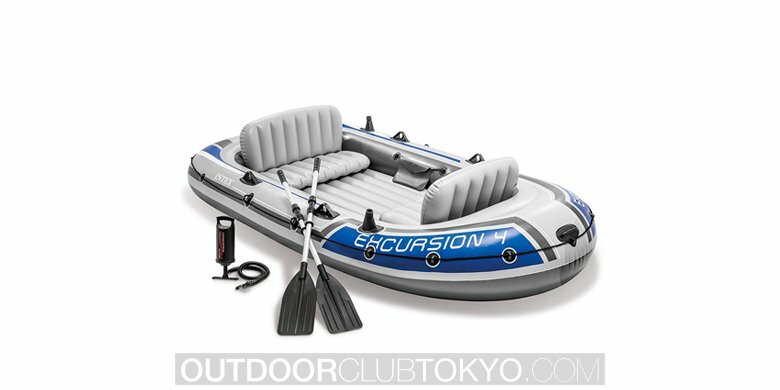 The boat has inflatable cushions and an all-around grab line, so it is very safe to use. Its floors are inflatable and comfortable; you do not have to worry about feeling uncomfortable when you are using it. For safety precautions, the boat has two air chambers and an inner full chamber. This can be very convenient in an emergency. The bows included in the set have grab handles. The PVC is resistant from saltwater, gasoline, and oil so you do not have to worry about it being damaged from them. You can also use them on the sea when necessary. The strong and thick PVC is very strong; you do not have to worry about boating near logs or rocks. The seahawk 4 inflatable boat has welded oarlocks. It has two fishing rod holders at the rears on each side, so you can also use it for fishing. 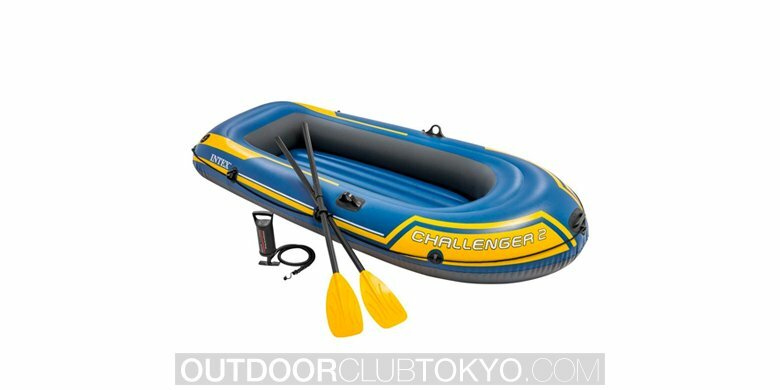 It comes with an inflation pump and oars. It is large. This boat can hold up to 4 people, so you can use it when you are recreating with your friend or family. It is easy to maneuver. The oars that are included in the package make it easier to paddle. The thick vinyl ensures the endurance of the boat. You do not need to worry when you are boating in a harsher environment with rocks and logs. The storage pouch makes it convenient because you can put the things you do not want to get wet in it. The high quality of the product minimizes the disadvantages you can get from this product. It is highly convenient, easy to use, and very strong and it comes with all the essential things you need to start boating. However, it is important to take care of it so that it can last longer. When you are inflating it with the manual air pump included in the set, make sure you are not overfilling it. However, you should not be too careful and end up filling it with less air. Be sure to read the product guide included in the package. Take care of it and clean it once in awhile checking on it so that if there is any damage, you can treat it as soon as possible to minimize the effects. Even though this product is resistant from abrasion, it is important to keep it away from objects that can cause abrasions such as ropes or coolers. Air temperature can cause changes in the air pressure in the inflatable chambers, so make sure to pay attention to the air temperature too. It is best to use mild dish soap to wash the boat because they won’t damage it. There are also some cleaning products designed to clean boats so it is better to use those products. It is important to check for leaks or punctures regularly for precautions. A: This boat set can be bought in the on online store. For people who are looking for high-quality boats for the purpose of fishing or recreational boating, the Intex Seahawk 4 is the perfect boat for you. It is made of great and strong materials, which makes it resistant to a lot of things such as UV lights, abrasion, salt water, oil, and so on.